Stampin' Up! Starter Kit Sale!! Stampin' Up! is offering the $99 Starter Kit (contains only items YOU choose) for 25% off! The new price will be $74.25! Choose up to $125 in Stampin' Up! products--which means you will enjoy $50 in free product! Even better? You can add sale items for even more savings(Online Extravaganza items, 15% off bundles, and Clearance Rack items!) , and there is FREE SHIPPING (10% savings)! Once you order the starter kit, you become eligible for a one-tme, 30% off discount, off your first product order of $150 or more that is placed within the first 45 days after your purchase date. You will also get a SNEAK PEEK at Sale-a-Bration items that will be available in January, and you can order them FIRST! No strings attached! You will have until April 30, 2015, to "test drive" the demonstrator experience and savings. To remain a demonstrator, simply reach $300 in sales by the end of this first quarter. If you decide to stop, no problem! There is no pressure to host workshops, parties, or classes. There is no penalty if you quit. What could be better? NOTHING! You will LOVE playing with these fun products during the cold weather. Enjoy what you love and share with others! CLICK HERE to reach my website. Click JOIN NOW to enjoy the savings now! Stampin' Up! Online Extravaganza SALE!! Let the savings time begin! Stampin' Up! is hosting their annual Online Extravaganza Sale in honor of Black Friday. Savings are 20%-50% off the regular retail prices through December 2. CLICK HERE or on the image to see the flyer of savings. CLICK HERE to make a purchase from my website, Stamp Studio H.
There are many 50% off savings, but these products were on my list! Other items are priced at 40%, 30%, and 20% off! You can also take advantage of the CLEARANCE RACK and WEEKLY DEALS. Stampin' Up! is SO EXCITED to celebrate their 25th anniversary, and they want to share some savings with you! TODAY ONLY, there is a "Thank You Thursday" special happening. You can take advantage of these specials by clicking HERE to order! Wait, there's MORE! Stampin' Up! is also offering a Deal of the Week to customers who place an order this week. NOW is the time for you to take advantage of BOTH of these great deals! 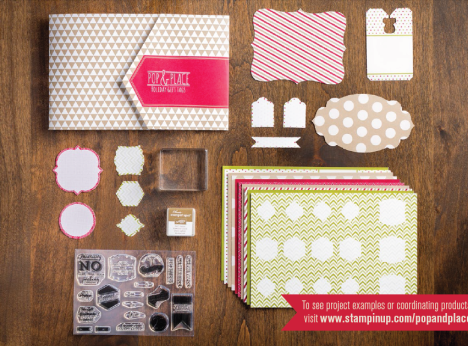 If you want an even better deal, join Stampin' Up! for only $25 for only FIVE MORE DAYS, and you will receive a 30% discount off the specials offered this week! Host an online catalog party, and win an extra $25 in FREE hostess produsts this month. You certainly can't beat these great deals! I have been traveling and crafting this fall break week to celebrate my birthday. I hope you are able to find time to be creative because it is definitely good for my soul. I have created several projects for my classroom and as gifts lately. I get so excited to display and give them, that I forget to take pictures to share with you. I will work on that challenge because you just have to see what fun I have been having in my studio! Our new Pop & Place Holiday Gift Tags come in a booklet of 70+ tags in five designs--created from our existing punch and die shapes. These tags (which coordinate with the Season of Style products in the 2013 holiday catalog) are perfect to sell, especially to new customers who may not know what punch or die shapes they are interested in buying. And want to know something really exciting? ANYONE CAN MAKE THESE! You are going to LOVE saving time as you create handmade, personalized gifts for the teacher, co-workers, your boss, the bus driver, etc. $25 STARTER KIT!!??? ARE THEY INSANE??!! HOW FABULOUS!!! WHAT A GREAT OFFER!! Receive 30% instant income on your first order and any eligible hostess benefits if you hosts your own event. *This perk is only available to those who sign up between October 7-21; so do not miss out! Deals like this RARELY come around! In honor of Stampin' Up! 's 25th anniversary AND MY BIRTHDAY (not really, but it was pretty good timing! ), hostesses will receive additional $25 EXTRA hostess dollars when they hold a $250 or more workshop! This means $65 extra in free products for you (instead of the standard $40 amount). *The $250 party sales is calculated before tax and shipping. PICK YOUR DATE TODAY!! You can also host an online catalog party! TAX FREE IN TENNESSEE..BACK TO SCHOOL WITH STAMPIN' UP! Have you seen the Holiday Catalog yet?!! I mailed it to all of my stamping friends, who have placed orders. If you need one, please send me your contact information and it will be on the way. If you live close, I will deliver! The Holiday Catalog goes LIVE for ordering on August 1, but I couldn't let you order without the news of this TAX SAVING information! I plan to place an order no later than August 4, so you are welcome to take advantage of 10% shipping and NO SALES TAX on items that could be used in the classroom. These are the details. The state of Tennessee is having a sales tax holiday for school supplies up to $100 per item from August 2-4. Because school supply items are included in this sales tax holiday, the list of items below will be state tax-free during the holiday period. Please note that you must place your order with Stampin’ Up!® during the tax holiday period in order to receive these items tax-free. Also, keep in mind that this is a state sales tax holiday and may not apply to additional city, jurisdiction, or county taxes. I wanted to make sure you knew about this limited-time benefit! You may contact me to place the order for you, or you can order online at your convenience 24/7. 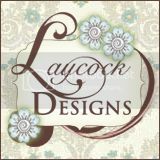 CLICK HERE for a link to my Stampin' Up! webstore. I received this list from Stampin' Up!, and they did not include Holiday Catalog items to the list. I will call tomorrow to see if the chalk marker is included. There may be more to add to the list, so I will update you if more is announced. Adhesives, markers, and scissors made the list, and I was sad to see paper doesn't qualify. Students enjoy the creative, organized classroom display I plan with the help of many Stampin' Up! products. Of course, die cuts, DSP, embellishments, stamps, greeting cards, scrapbooks, cardstock, punches, a paper trimmer, and banner kits aren't on my classroom supply list. Wouldn't it be cool if MDS downloads were tax free too? We don't pay shipping fees on those, so it would be too amazing to get the deal for those, too. After all, I have been using MDS to create classroom posters and labels. Speaking of deals, I also wanted to remind you of the limited time $10/first 2 months PAPER PUMPKIN DEAL. CLICK HERE to enjoy those savings!